Discover the hidden treasures of Jamaica and avoid the overcrowded tourist traps. Interact with the locals and learn about the rich history, culture, music, flora and fauna of our Tropical Paradise. Be adventurous and taste the local authentic cuisine while you dine in a rustic Jamaican restaurant. Have an intimate moment with nature as you unwind on the White River Tubing or you may also want to visit the world renowned Dunn’s River falls and experience the exhilarating climb of these majestic cascades. Ocho Rios has a number of unique attractions to enjoy, Beach Horseback riding, Zipline, Coyaba Gardens, Enchanted Gardens etc. 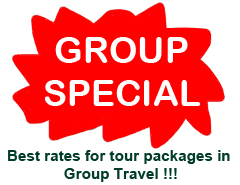 Choose one of our pre-arranged tour packages or customize your adventure. Let our trained guides give you that once in a life time experience. Book now and leave the worries to us. This is undoubtedly the #1 undiscovered gem nestled in the tropical countryside of Ocho Rios. Imagine a day where you can explore magnificent waterfalls. Tube through crystal clear rivers; drive through miles of ferns growing in a former riverbed; view gorgeous flowers and exotic plants and eat sumptuous local cuisine designed to titillate the taste buds. Relax and enjoy the beautiful scenery as you journey along the North Coast to Ocho Rios in a clean and fully air-conditioned coach. Be introduced to the history and culture of the island as you past historical sites and visit an open air museum where it is said that Christopher Columbus landed. Adventure off the beaten path. Enjoy the breath-taking sceneries, jump the 20ft falls, swim through the mineral pools into caves & tackle the rope swing. Next its tubing down the scenic rushing waters another favourite among visitors. Relax and enjoy the beautiful scenery as you journey along the North Coast to Ocho Rios. Be introduced to the history and culture of the island as you past historical sites. Board your clean and air conditioned coach and take a senic ride to Ocho Rios along the north coast of Jamaica. Relax and enjoy the beautiful scenery as you journey along the North Coast to Ocho Rios in a clean and fully air-conditioned coach. Embark on your journey in a clean and air conditioned coach to Ocho Rios. As you travel along the coast you will be introduced to the history and culture of the island. Come out and experience what nature has to show you at this remarkable spot, where you will witness a phenomenon that only occurs in certain parts of the world. Adventure out of your resort with us and get to see the beautiful sites that Jamaica has to offer. Engulf yourself in the history, culture, cuisine, food and people. Get to see our island through our eyes, the diamond in the rough. Leave Jamaica feeling renewed and revived. Do not miss out on this opportunity request a tour with our friendly and courteous guides.